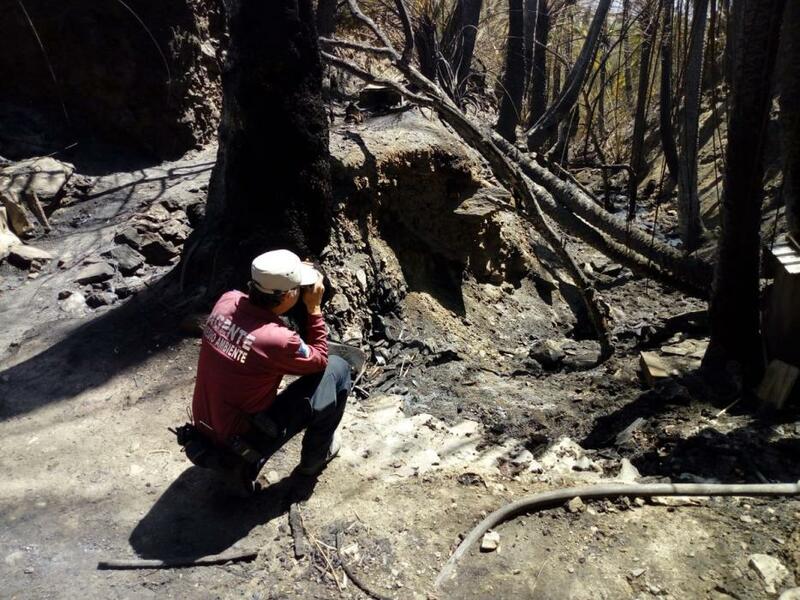 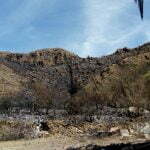 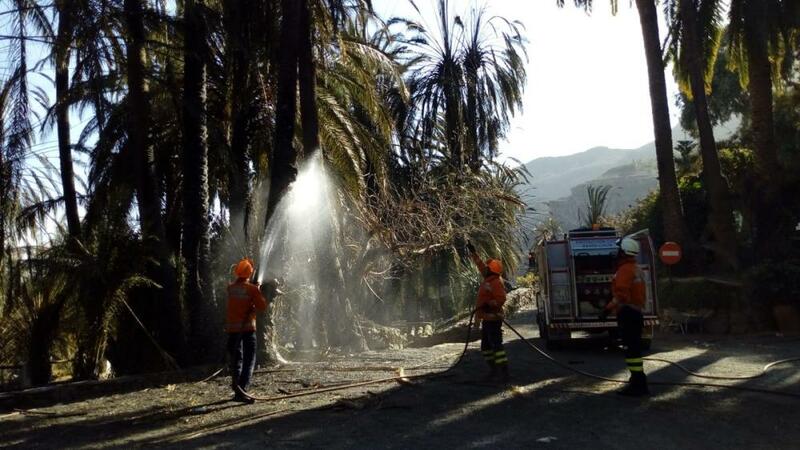 Agents from the National Police Forensic Police Unit on Monday inspected the area damaged by the fire that started around 3 pm on Saturday in the palm grove next to the Molino de Agua Hotel and Restaurant just outside Fataga, which according to the Environment Department, devastated between 30 and 35 hectares of the grove and brushwood area. 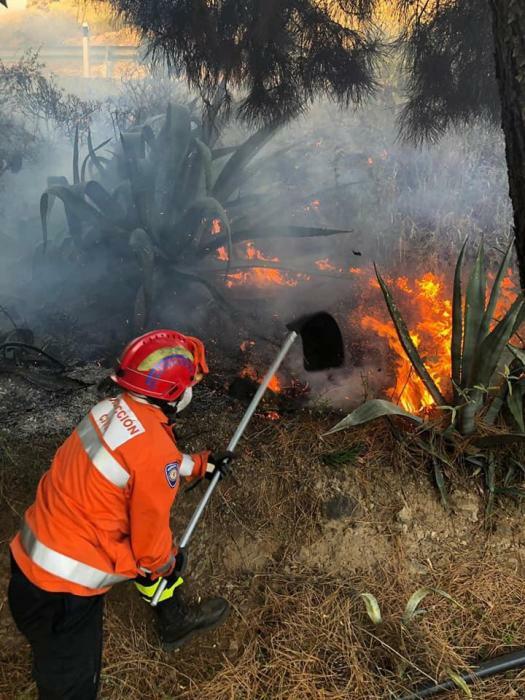 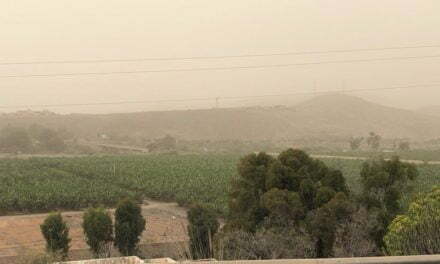 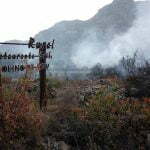 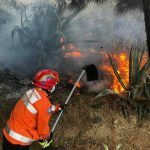 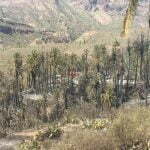 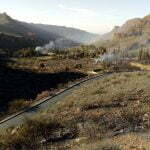 Firefighters extinguished the last flames in the area about 12 hours after it started, using water and foam, as well as the controlled burning of stubble and palm leaves in the zone around the blaze using a tractor to clear a perimeter and eliminate any risk of the fire spreading further. 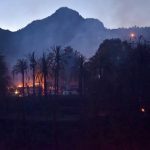 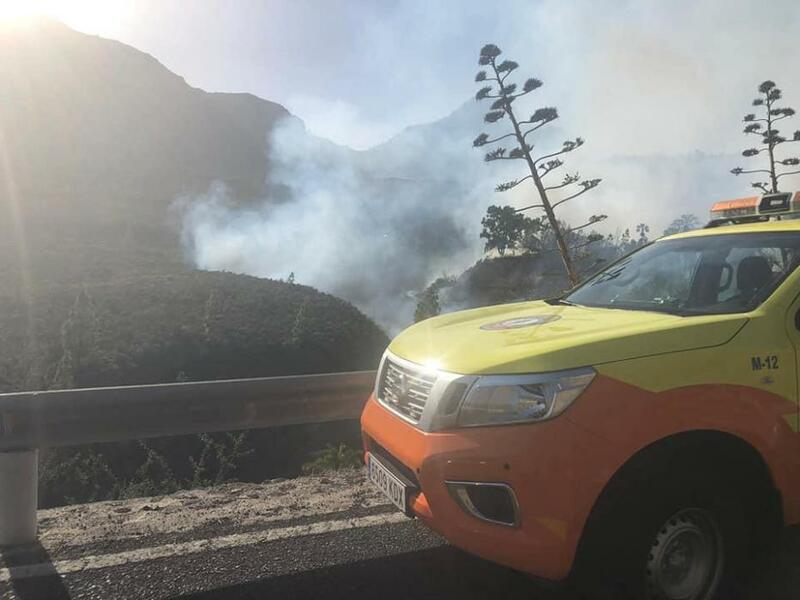 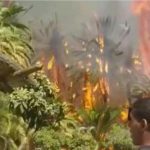 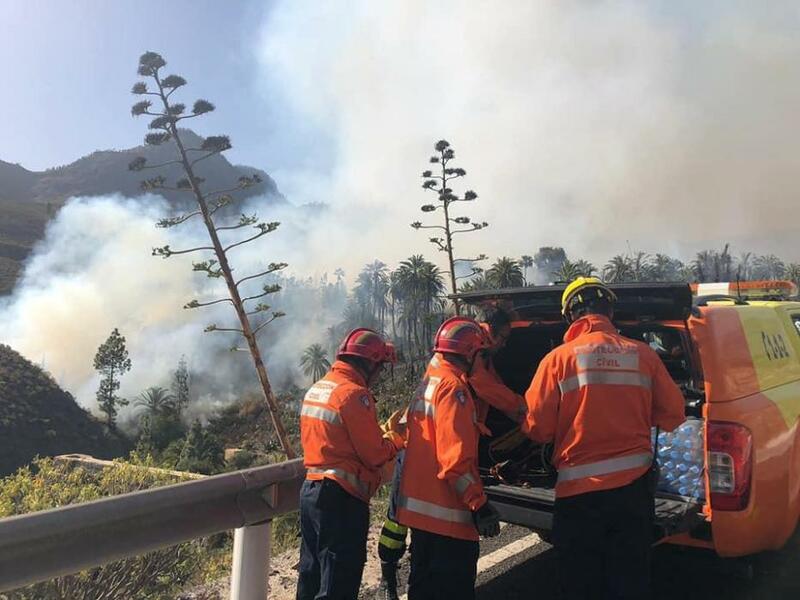 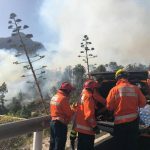 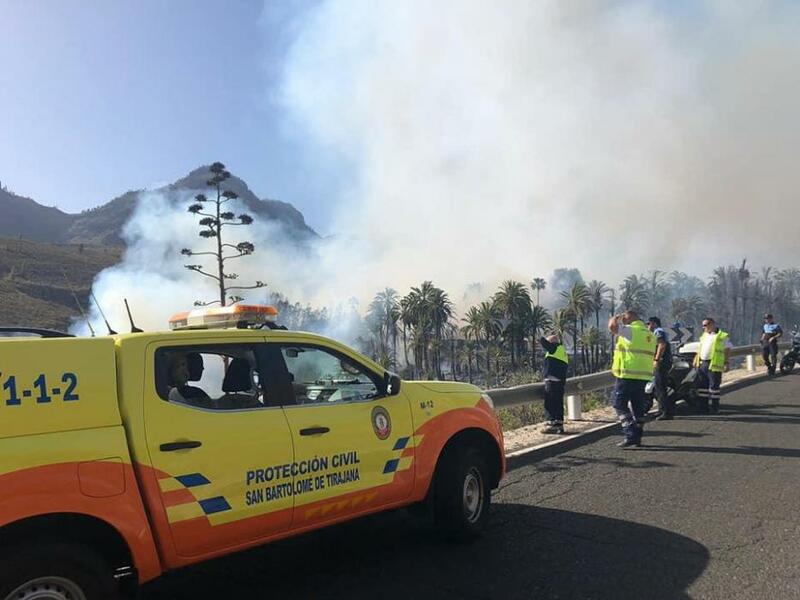 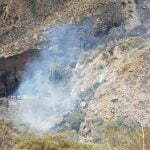 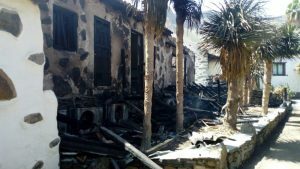 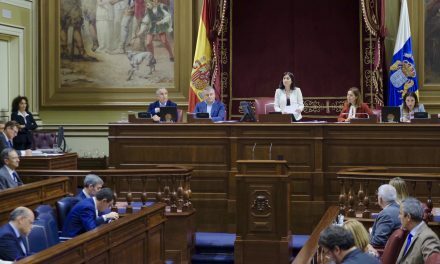 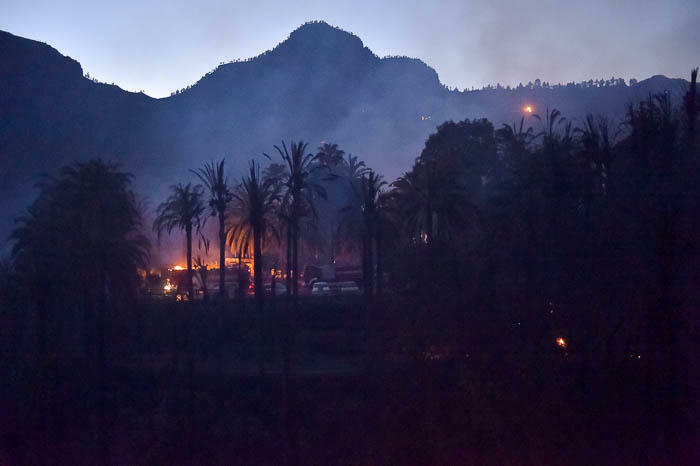 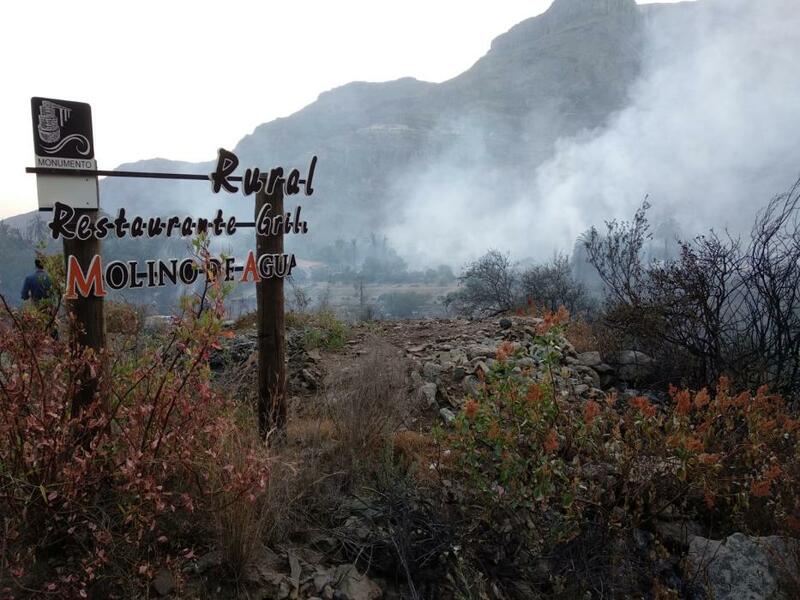 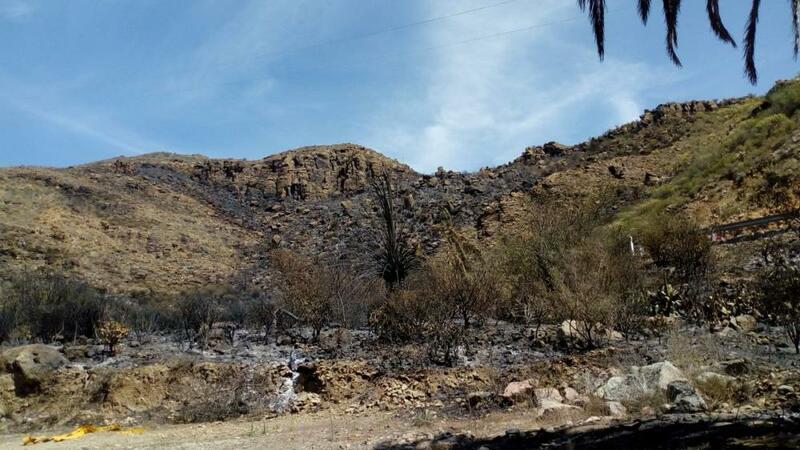 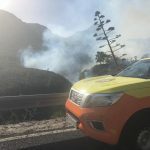 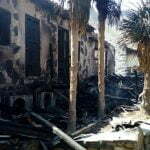 The Environment Department of the Cabildo de Gran Canaria have discounted that the fire occurred by natural causes and so the National Police must now investigate what the source of the blaze could have been. 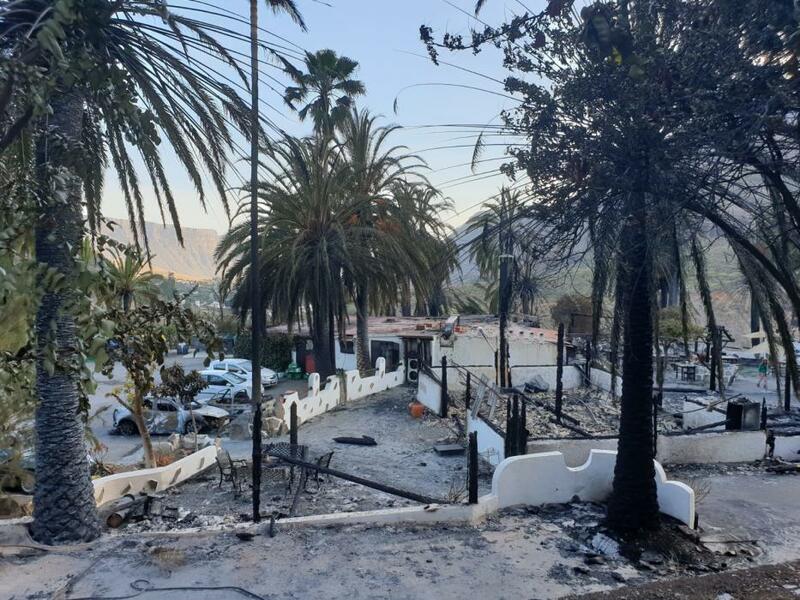 Agents have inspected the hotel premises destroyed by the flames, in addition to vehicles burned in an event described as “horrible and scary” by some of those present. 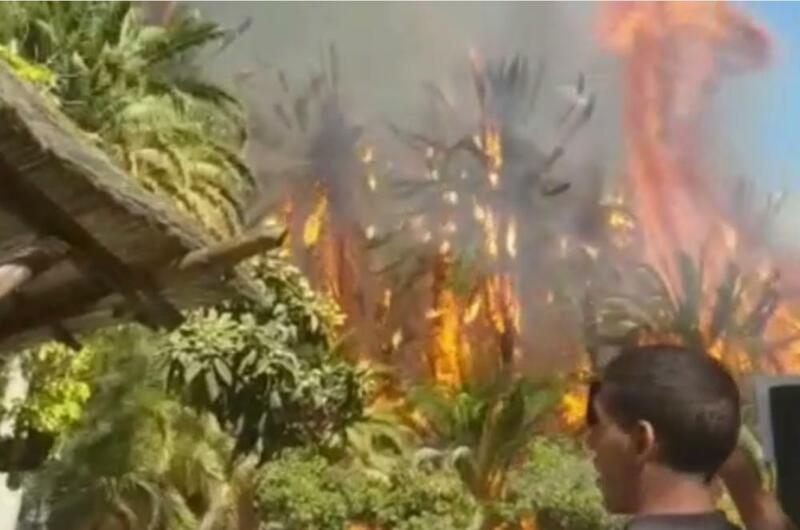 Six macaws, unable to fly away, appear to have been the only casualties to the rapid violence of the fire. 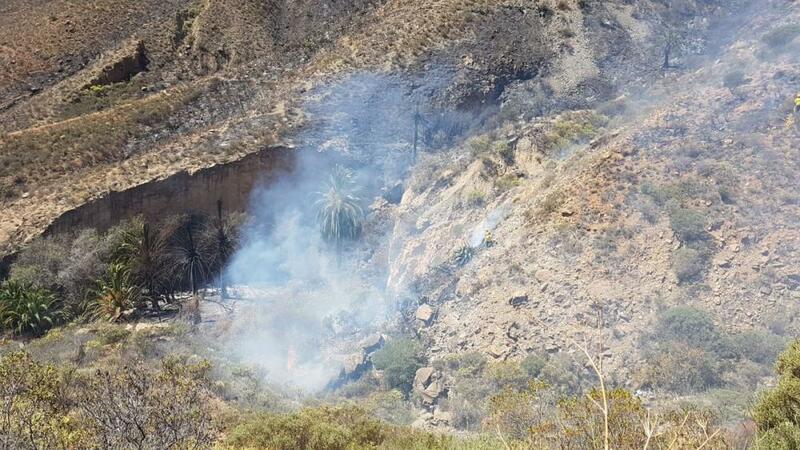 While the horses, a donkey, a pony, a dog and four goats managed to avoid harm. 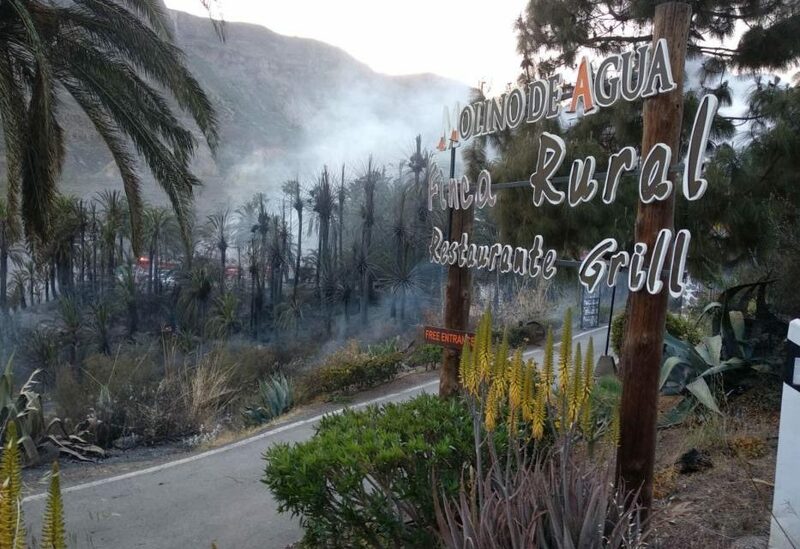 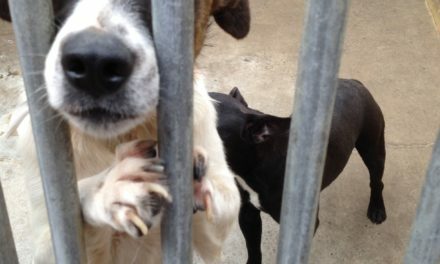 Eduardo, who looked after the gardens and maintenance at the rural hotel and and Antonio who operated the business, told local Spanish daily, La Provincia, of the fright and terror when between 15 and 20 people enjoying food, as well as some tourists in the apartments, realised they were all in sudden danger. 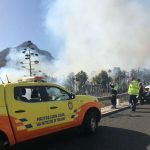 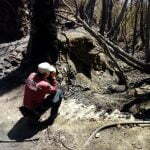 “The flames were terrible, some 50 meters high, and there was a lot of fear, so we helped the clients out… to get away from the fire and then we [went for] the animals, as the fire, propelled by the heat and wind, was headed towards people, but fortunately except for several people needing assistance due to anxiety, there were no personal injuries,” said Eduardo, adding “I am still in a state of shock”. 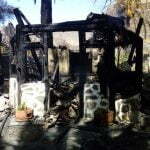 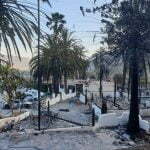 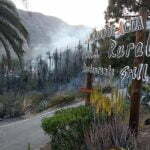 Three cars, two trucks and a motorcycle, as well as two apartments, a wellness cabin and the grill restaurant next to the pool, were totally destroyed, and it will be down to the insurers and the police investigation to clarify the causes and the cost of the damages suffered. 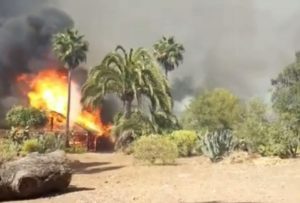 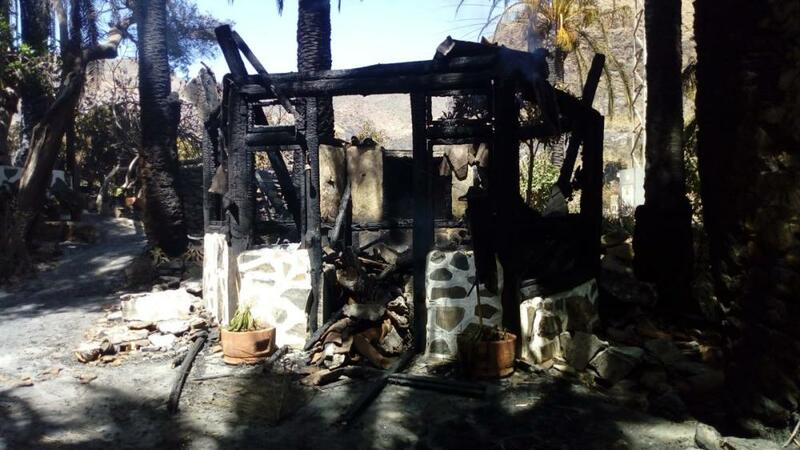 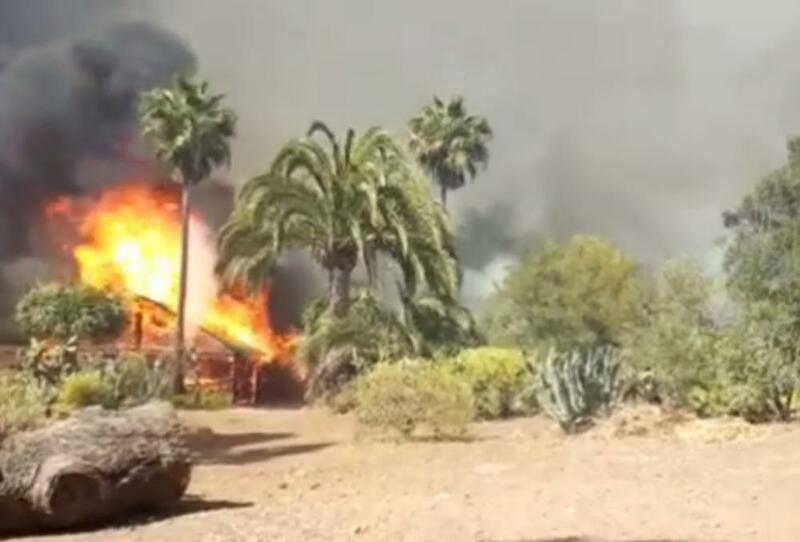 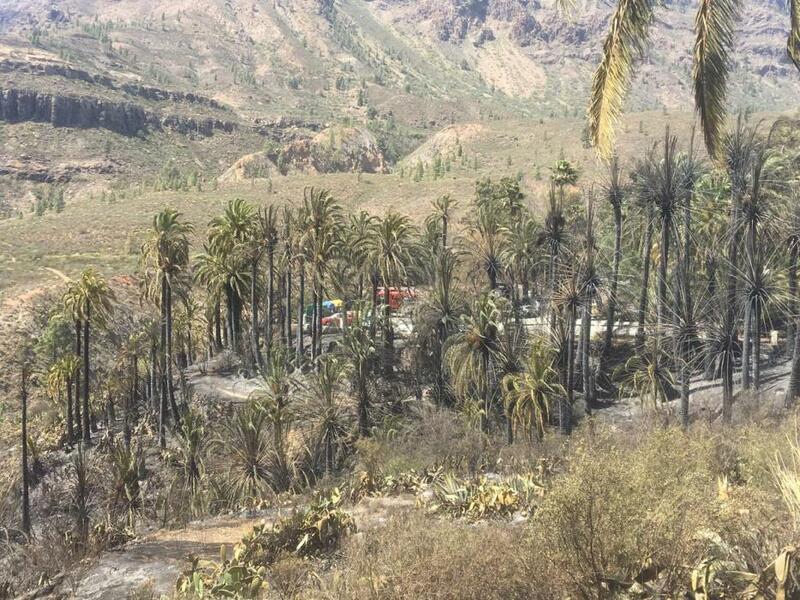 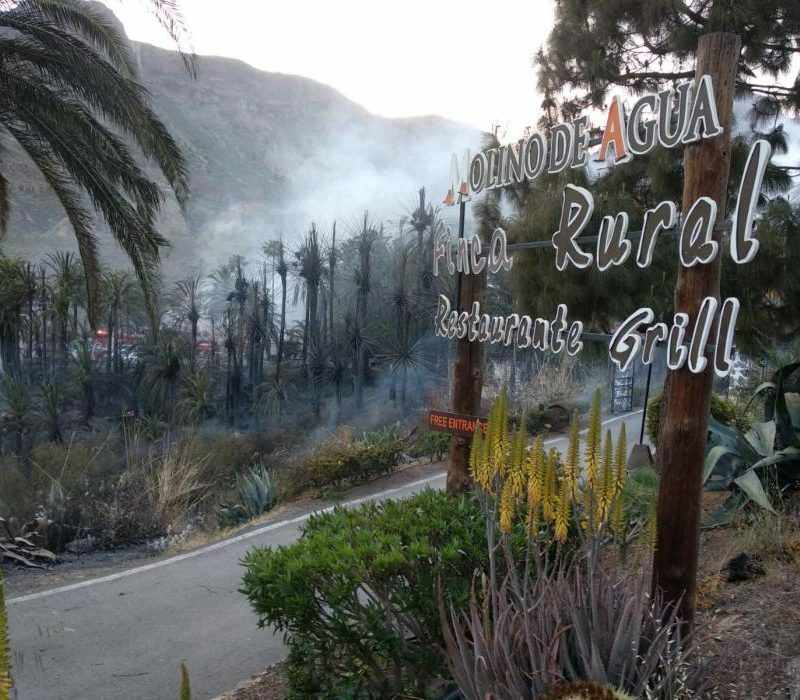 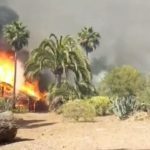 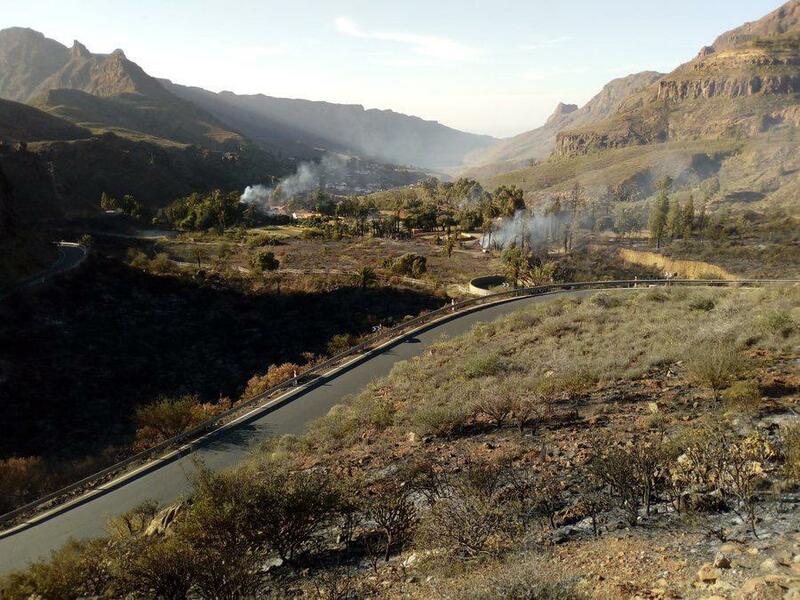 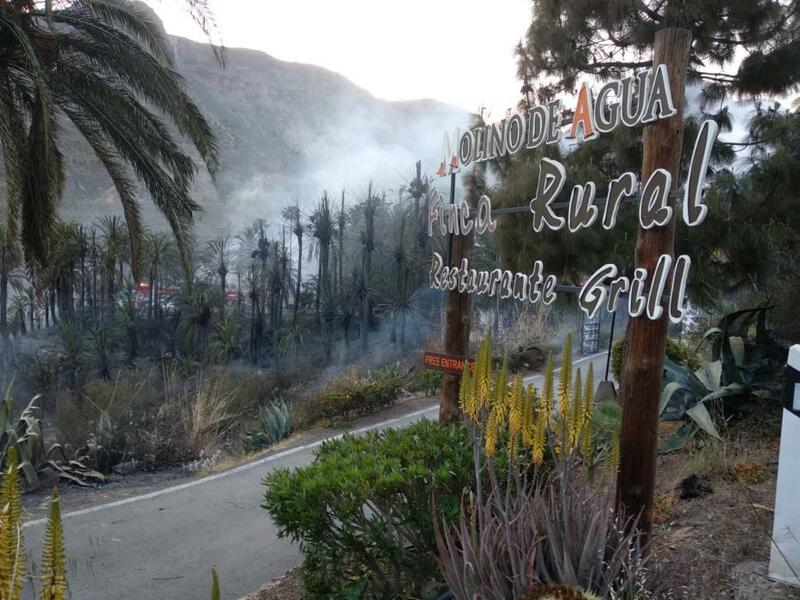 An English couple who specialise in Spiritual Wellness and Massage at the hotel have started a fund raising effort to try to ensure the animals at the farm are properly looked after and inviting people to contribute to replacing their place of work, Gran Canaria Holistic Centre, which was destroyed by the fire.